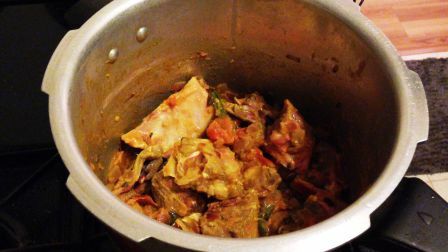 Goat meat, also called mutton is a very tasty food item. 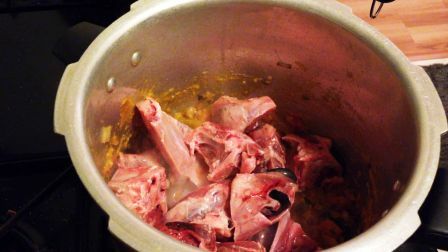 Although its head does not contain lots of meat, goat head curry gives the better taste, if cooked with Indian hot spices. That’s why many people love to eat these small heads of goats. 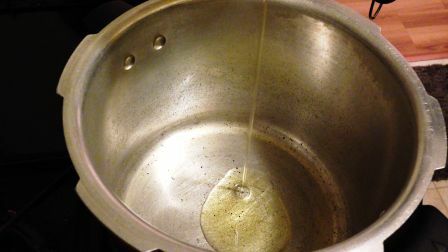 Add 3 tsp of sesame oil in a pan and heat. Once oil hot add 1 tsp fennel seeds and 1 spring curry leaves. 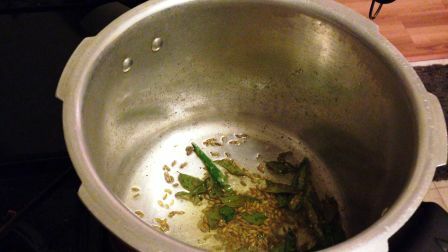 When fennel seeds turn changing color, add 3 slit green chilli and stir it. 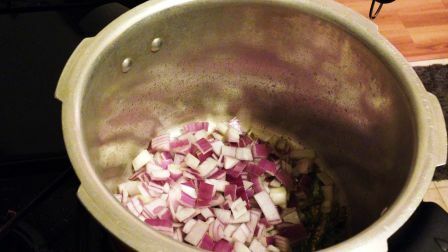 Add 1 chopped onion and cook until translucent. 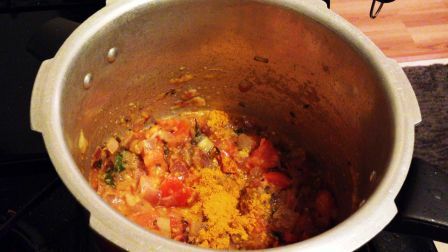 Now add two chopped tomato's and cook for a minute. Add required salt as per your taste. Add 1 tsp of ginger garlic paste and cook until raw smell goes off. 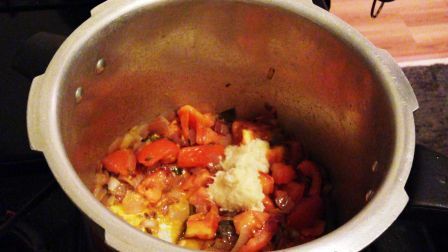 Then add 1 tsp of turmeric powder and stir it. Now add 1 goat head meet and stir it. Keep cook with out water for 3 minutes. 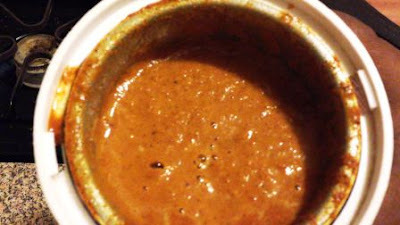 In parallel, add 6 pearl onion and 3 tsp kuzhambu powder in a mixer jar and make it into smooth paste. Now add the ground paste into the meat and stir it. Cook for a minute. 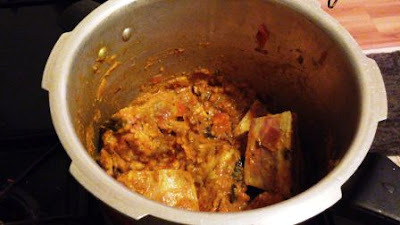 At this stage, add 1 cup of water and cook for 10 to 15 minutes. 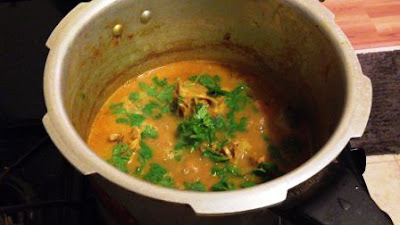 Finally add ½ cup of fresh coriander leaves and stir it. 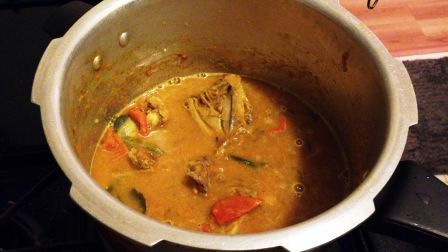 Now Goat head curry is ready to serve. Subscribe our channel to support us! !